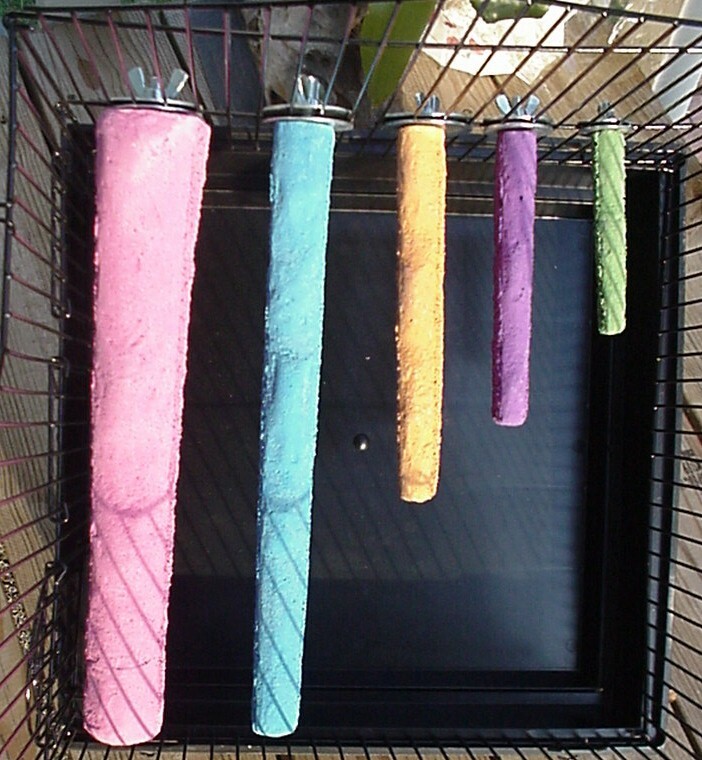 Comfort Concrete Perches have been tested by pet owners and Bird Breeders and has been found to trim the nails of all birds and to stimulate leg muscles and healthy feet. Smooth top foot comfort with "rough sides" to help keep nails and beaks trimmed. 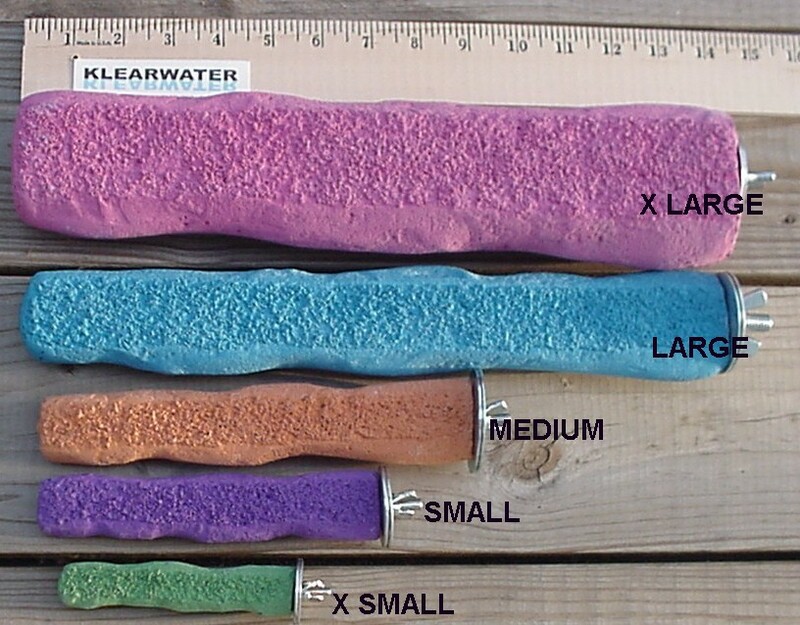 Comfort Concrete Perches have been tested by pet owners and Bird Breeders and has been found to trim the nails of all birds and to stimulate leg muscles and healthy feet. The beak conditioner was found to keep the bird's beak in a naturally healthy state of trim and to also simulate activity in the wild. Click the button below to add the Concrete Comfort Perch to your wish list.